It won’t be a joke to say that customer service is the key to a successful business nowadays. Deploying the contact form is one of those “bricks” to build a profitable customer service strategy. 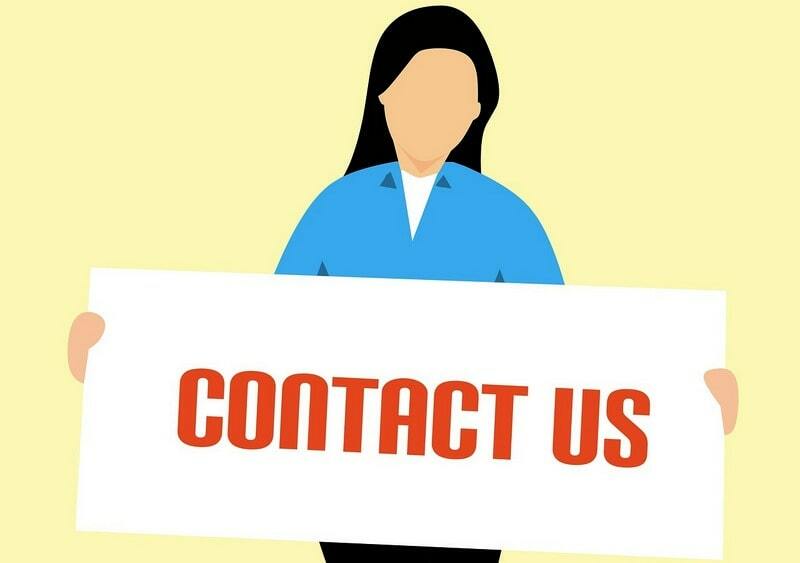 Contact form helps to establish the connection between a company and a customer. Website owners might use this element for various purposes: to gather feedback from users, as a way of communication with job applicants, for technical and customer support, and even as a subscription tab. Users like to know that a company takes care of them and listens to the feedback. Job applicants can be sure that their CV will be sent directly to the HR (Human Resource) department. Overall, such behavior increases the company’s vote of confidence and brand reputation. In this article, we’ll cover three plugins to create a unique contact form for your WordPress website. 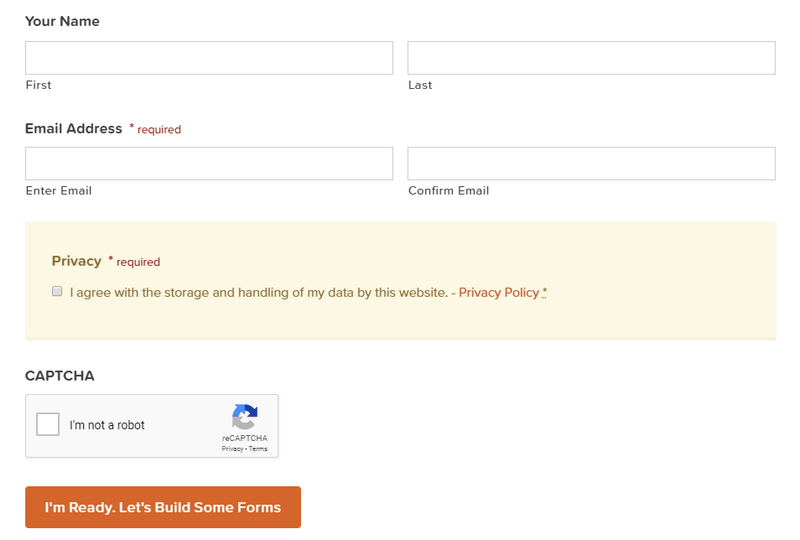 It’s a user-friendly form builder. You are free to choose from more than 30 pre-maid fields and control them via the conditional logic. Show or hide fields and pages, submit button based on user selections to make your own incredible functionality. Enable the email notification option so you’ll always know when somebody submits your contact forms. Users are free to upload documents or images they’ll ever want and save files right to your server. The other great advantage of this form is the ability to save the form status. This means, that user can always return to a partially filled form later on and finish it. It’s a premium plugin but you’re always able to check out a free demo before considering the purchase. Of course, the plugin provides a bunch of basic, pro and elite add-ons based on the license type you are currently using. They may be handy to extend the functionality of the tool even more. The mentioned plugin is a great form builder to create a simple contact form for your website or a complex multi-page form with advanced logic or calculations. The tool provides an easy drag-and-drop builder which makes the form prototyping easy and comfortable. The plugin enables its own front end editor to make the things a lot more beautiful by integrating theme design into your form. 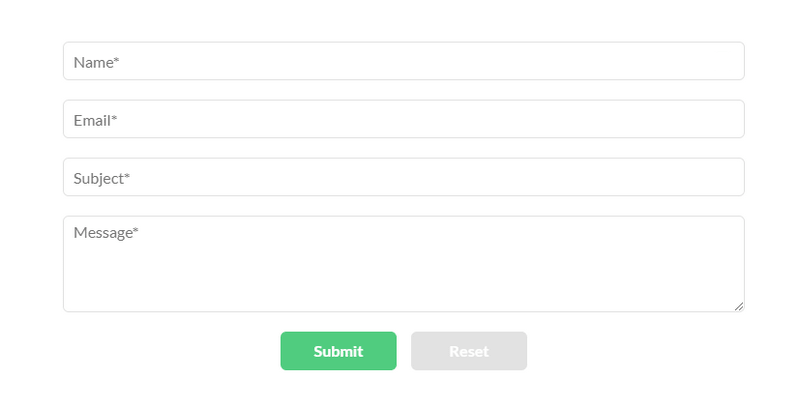 You are also free to customize your form HTML to make it even more stylish. All forms provided by Formidable Forms are fully responsive and mobile friendly. They will look amazing even on small screen devices. As every great plugin, this tool has an option for multiple file uploading. Each great contact form needs to have suitable spam protection. It’s extremely important to avoid spam messages, potentially dangerous uploaded files and DDoS (Distributed Denial of Service) attempts due to simultaneous form submitting from thousands of infected devices. The plugin provides a pack of protection measures such as Honeypot, reCAPTCHA, Akismet, and WordPress comment blacklist right out of the box. 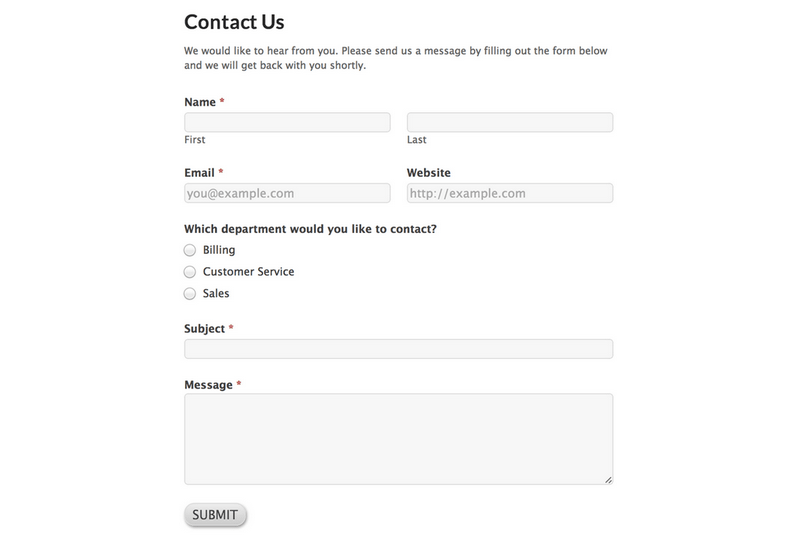 Form Maker is a perfect plugin to create responsive contact form just in a few clicks. It’s a user-friendly tool with an intuitive drag-and-drop interface. You can easily drop the desired fields and re-order their sequence later on. You are free to choose one of the four customizable options to display your contact form: Embedded, Pop-Up, Scroll-box, and Top-bar. The tool comes with 15 customizable themes to help you create outstanding visuals for your forms and 5 great pre-built templates. A well-designed and elegant theme will attract the user attention and retain it using the convenient interface. A contact form is a great tool to improve the client support of your company, improve its vote of confidence and maintain clear brand reputation. WordPress plugins can grant you the ability to develop and deploy your own custom form with elegant design and user-friendly interface. Get Huge Savings This Christmas!